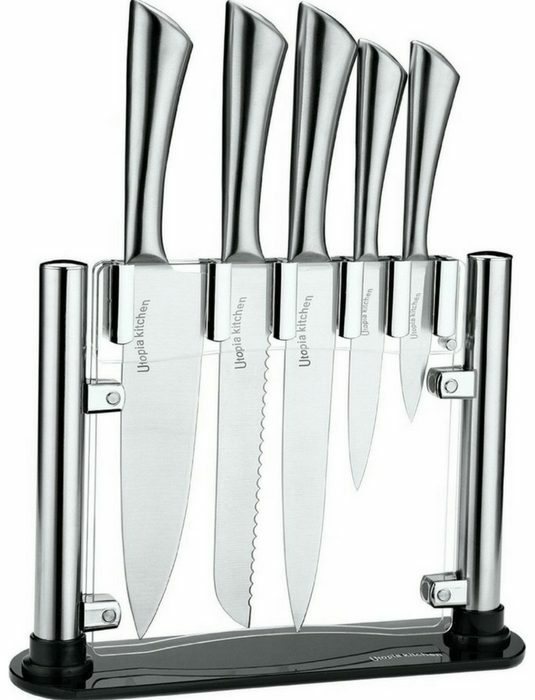 Utopia Kitchen 6-Piece Knives Set Just $26.99! Down From $100! You are here: Home / Great Deals / Amazon Deals / Utopia Kitchen 6-Piece Knives Set Just $26.99! Down From $100! Looking for a great deal? Head over to Amazon and check this Utopia Kitchen 6-Piece Knives Set which is on sale for just $26.99 down from $100! It’s FREE shipping for prime members or for orders over $35!